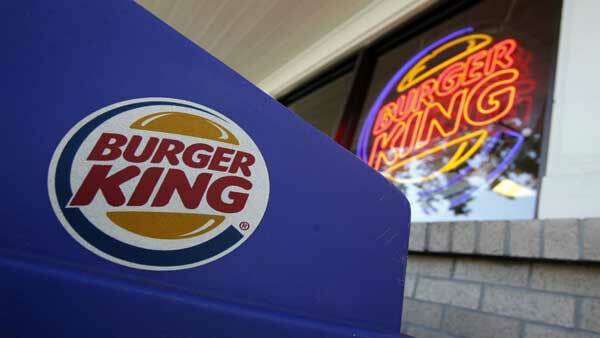 HOUSTON -- Burger King has "beef" and this time it's with 7-Eleven. The "beef" started because all Burger King restaurants nationwide are selling Grilled Dogs. Burger King sells two dogs, a regular hot dog with ketchup, mustard and relish for $1.99 and a chili cheese dog for $2.29. Burger King spent a whopper on advertising to promote its new Grilled Dogs. The restaurant placed an ad on the covers of several newspapers. The ad, which features it's king character has a lot of people talking. 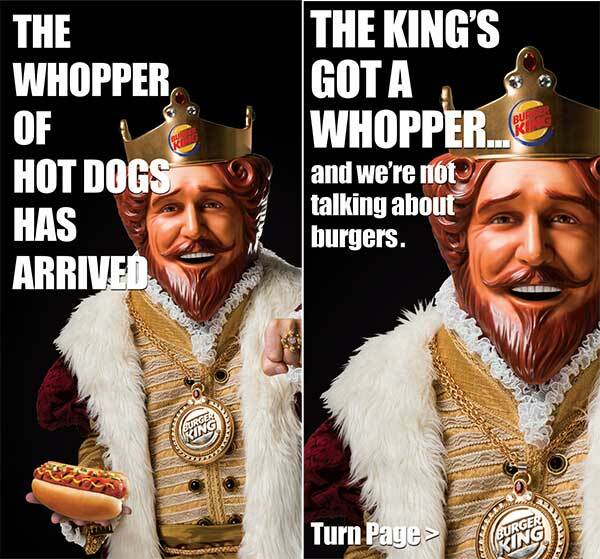 The text next to the king character reads: "THE KING'S GOT A WHOPPER... and we're not talking about burgers." However, 7-Eleven is not happy about Burger King's expansion. 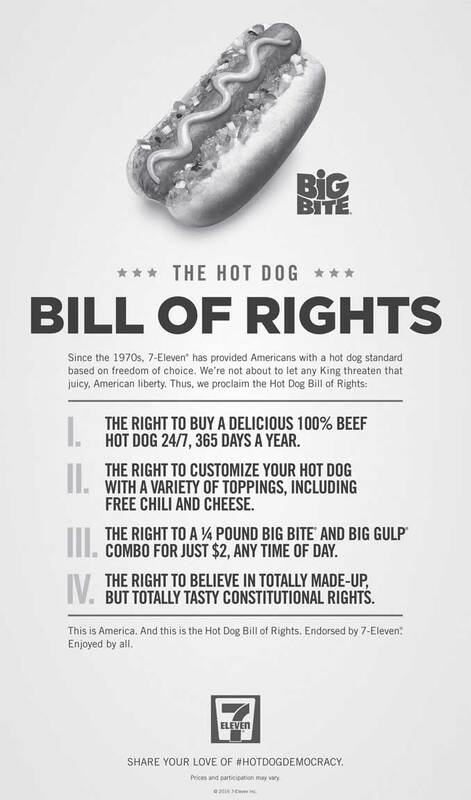 The self-proclaimed "hot dog killed" created its own ad campaign promoting a cheeky "Hot Dog Bill of Rights," which proclaims that customers are entitled to customize their hot dogs with free chili and cheese and "the right to believe in totally made-up but totally tasty constitutional rights." 7-Eleven declared war on Twitter and even urged people to Tweet using the hashtag #HotDogDemocracy to "stand for life, liberty and the pursuit of hot dog choices." However, Houston's original hot dog expert, James Coney Island thinks Burger King entering the dog market is going to be good for business. "I think it's great," said James Coney Island President, Darrin Straughan, "Anything that spotlights what we've been doing for 90 years is great." Straughan said James Coney Island is not worried about the competition from Burger King. "You can put our product against any line of hot dogs and our hot dogs will stand up and win," said Straughan. Meanwhile, some customers are kind of confused about Burger King's new product.